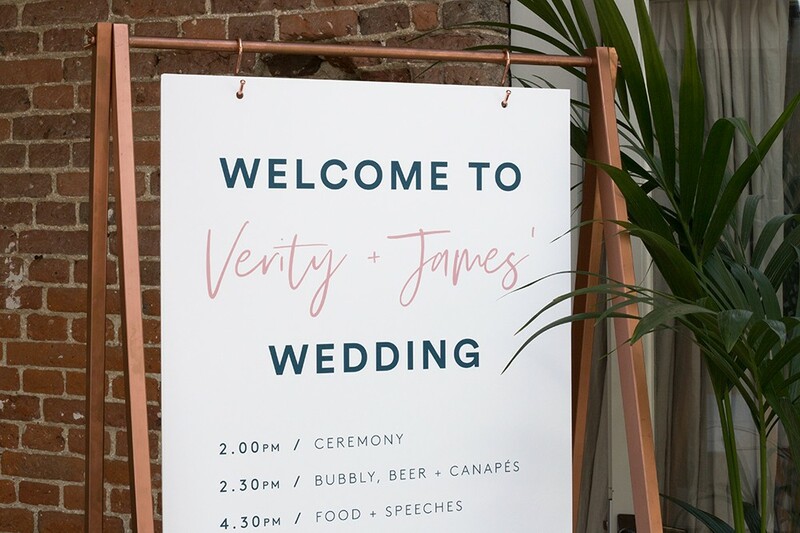 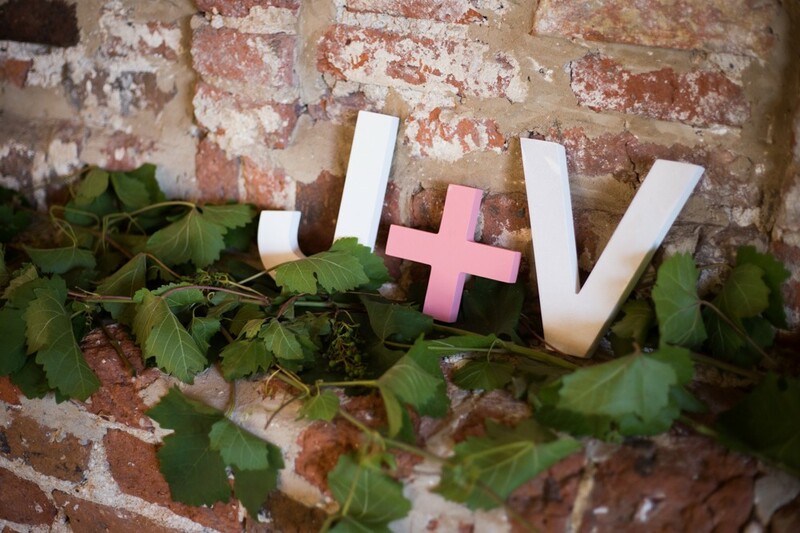 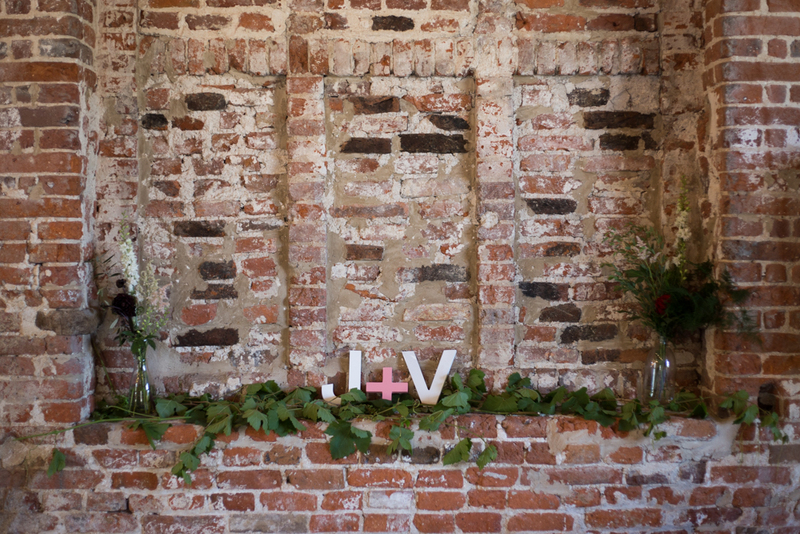 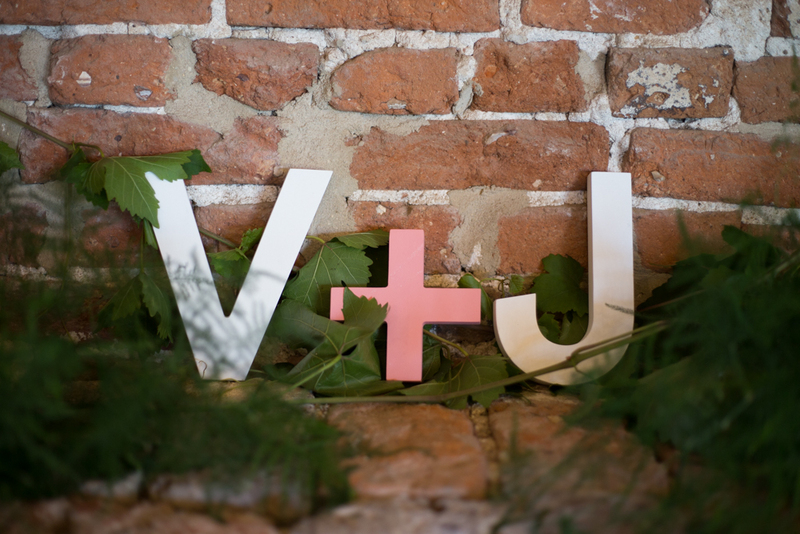 Verity and James’s wedding was an absolute visual dream! 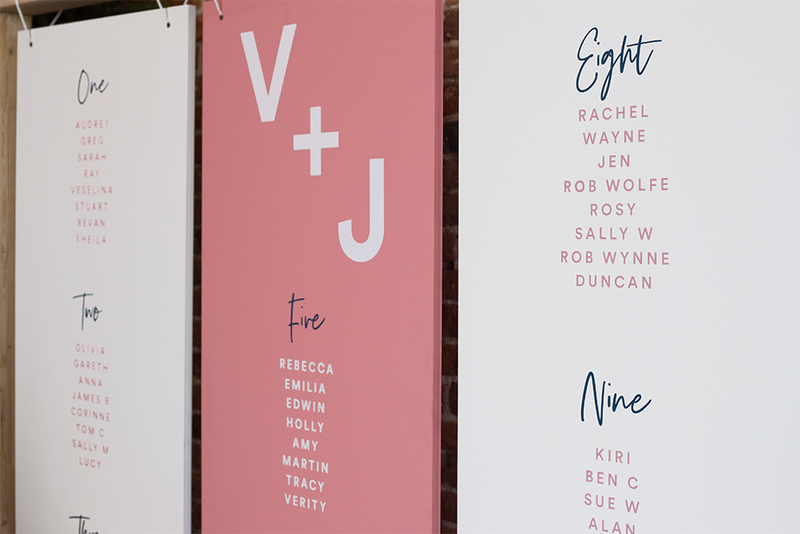 With a background in prop design and visual merchandising they are the perfect example of a couple who knew what they wanted but needed another creative pair of hands to help pull it all together. 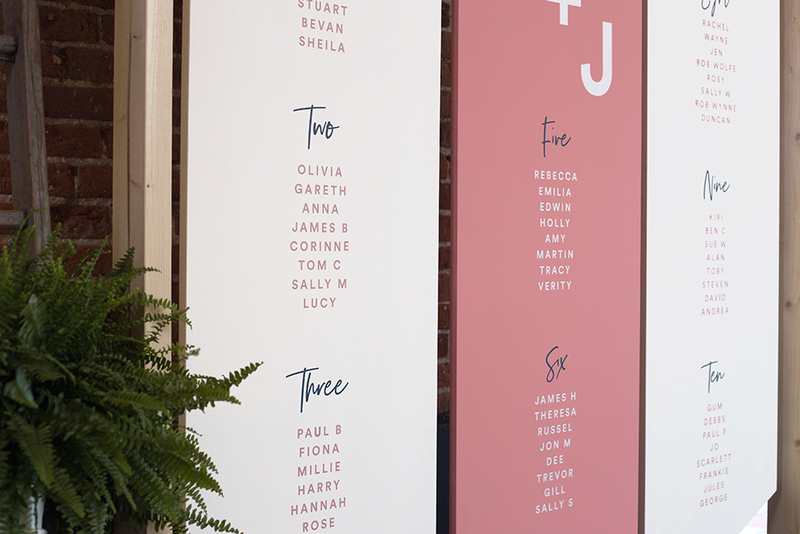 We came up with the general look and feel for the wedding graphics based on our Studio Collection – Meraki . 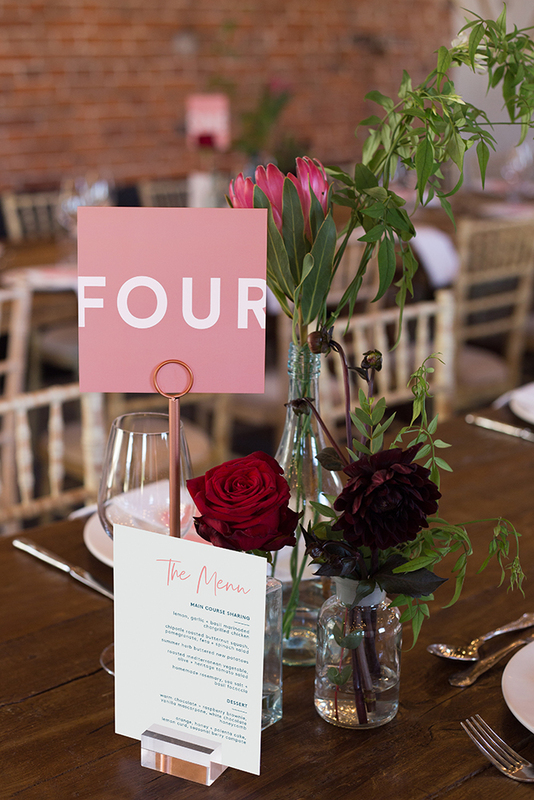 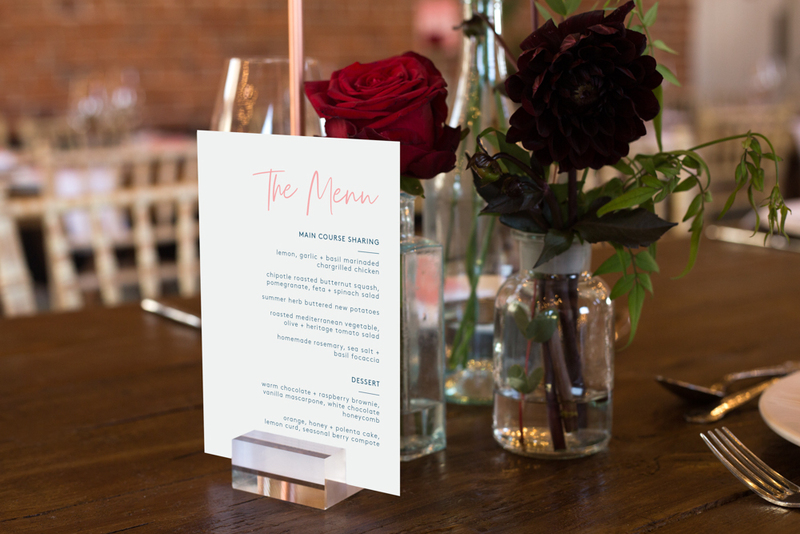 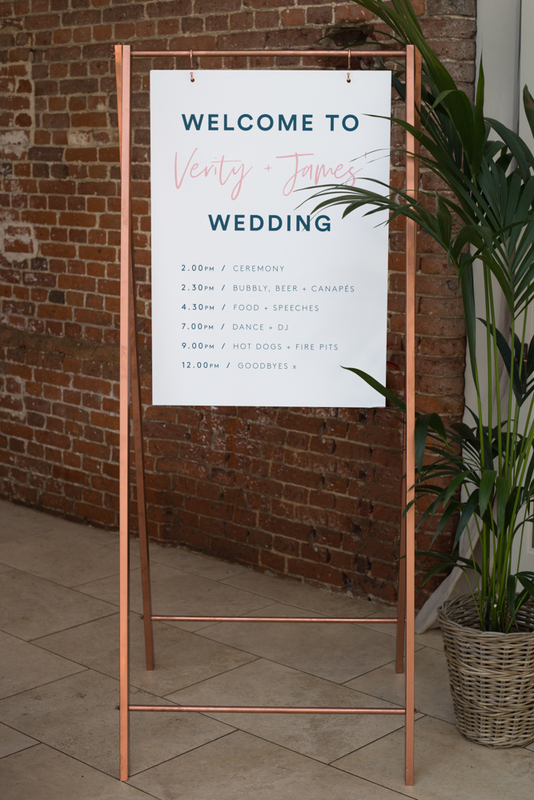 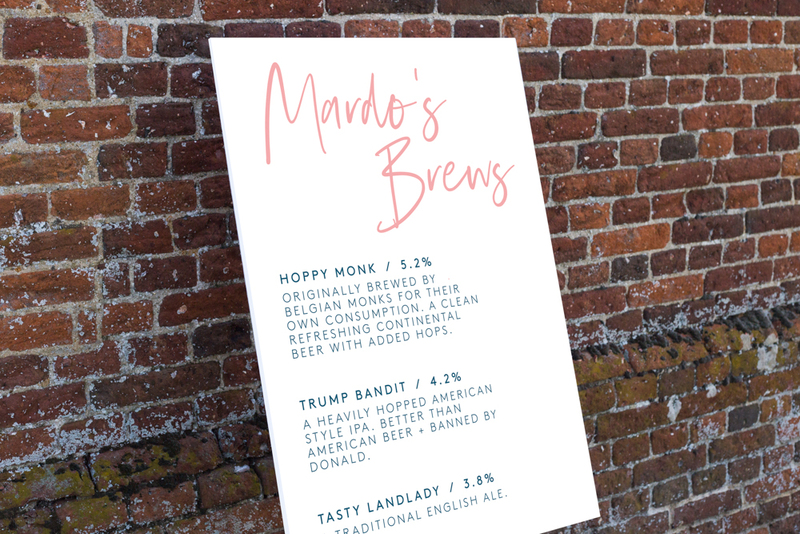 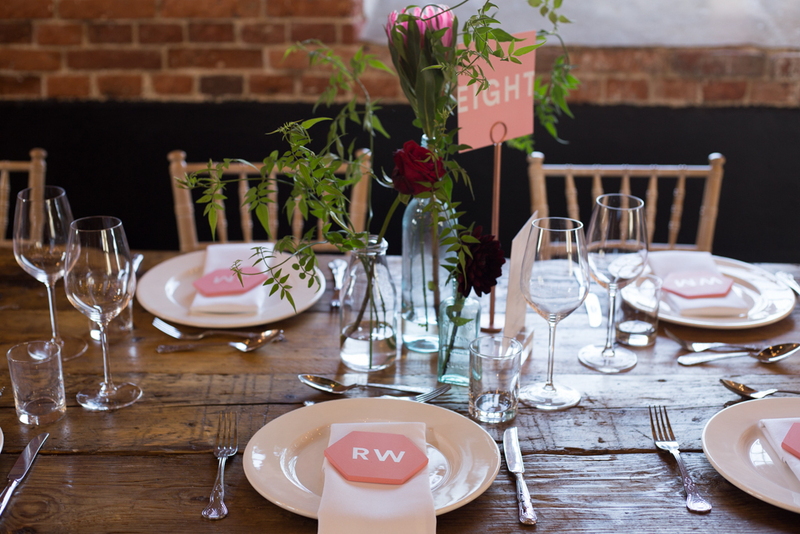 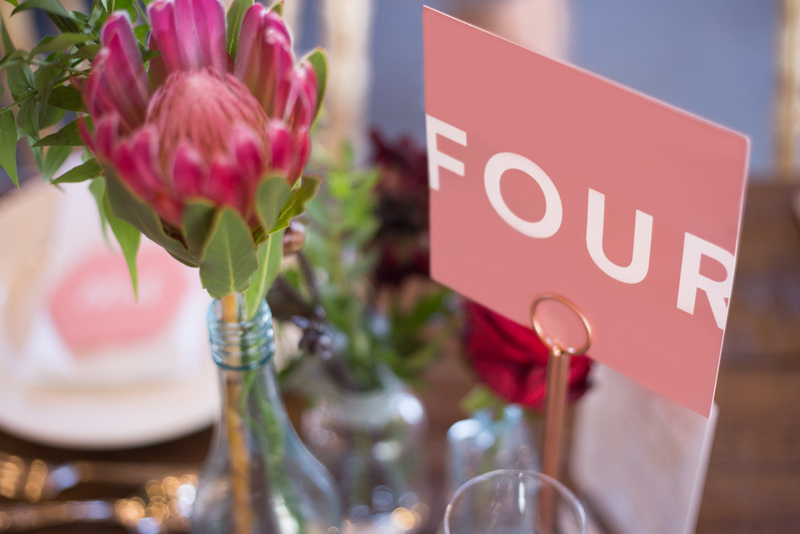 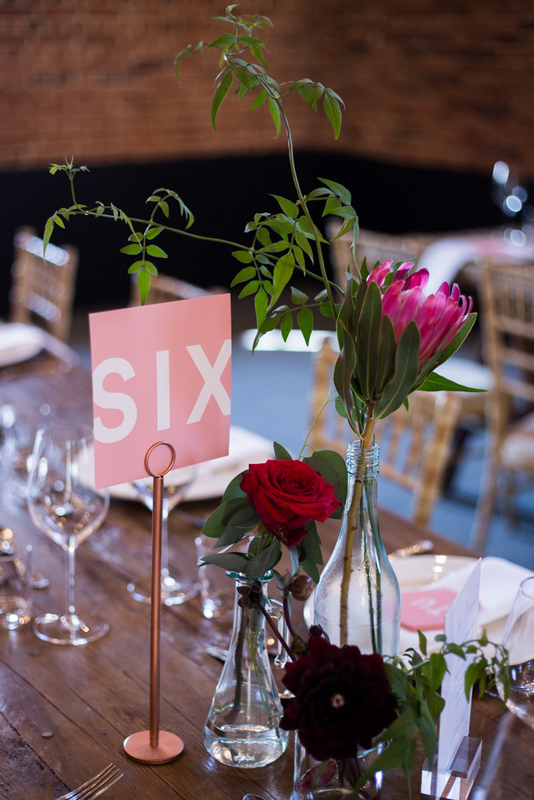 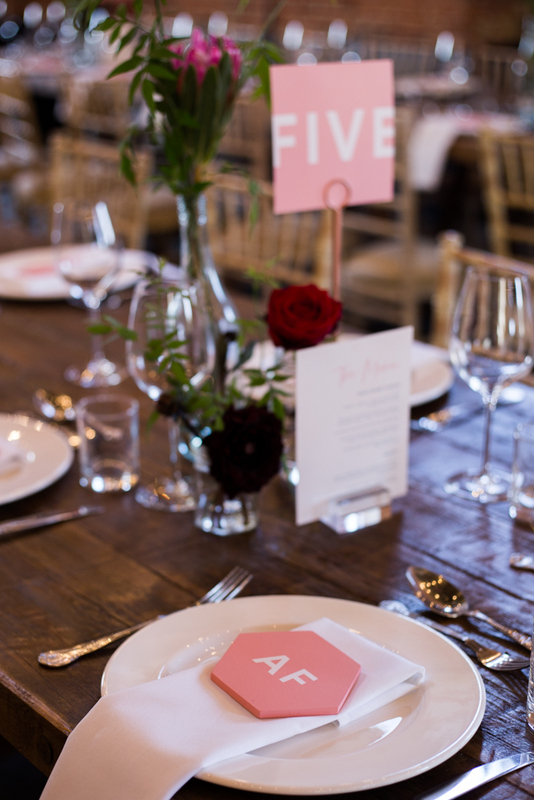 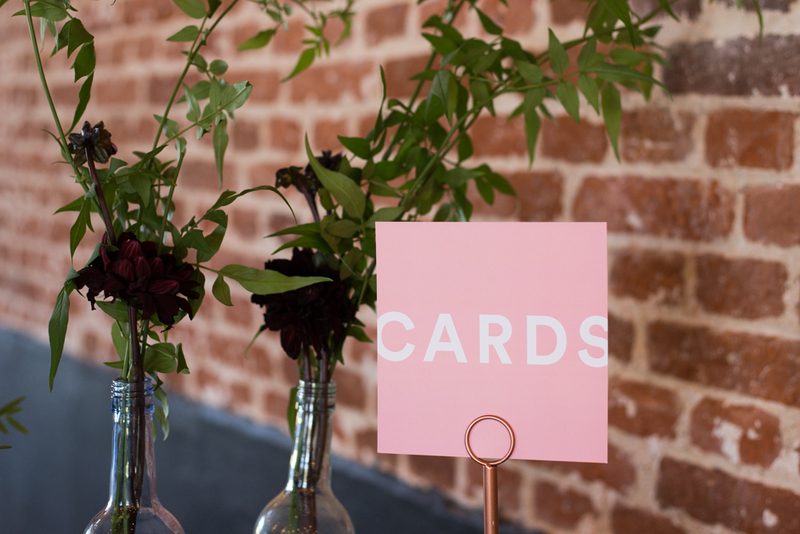 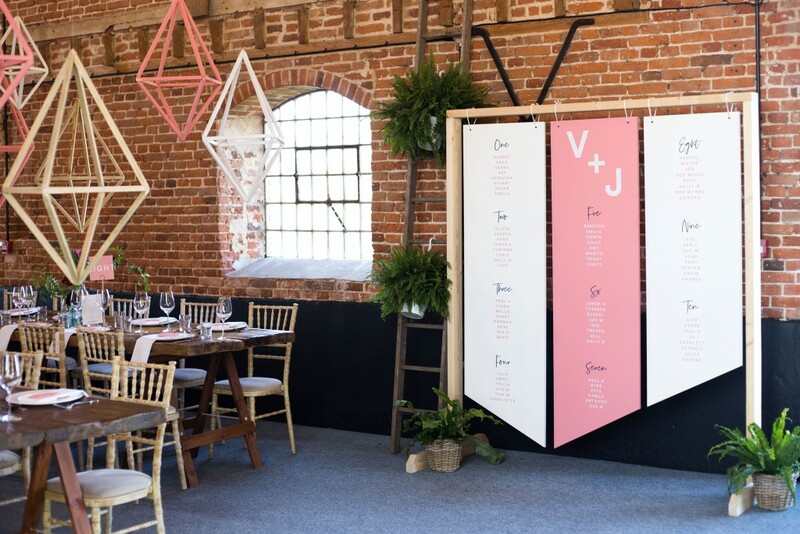 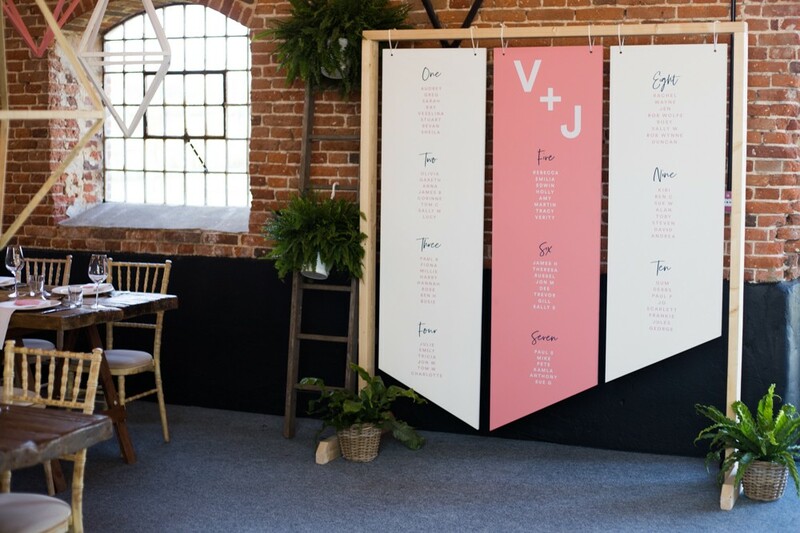 We then designed the paper based stationery items such as the menus, welcome sign, table numbers and beer sign and then worked together on the larger styling aspects such as the direction arrows, place names and table plan. 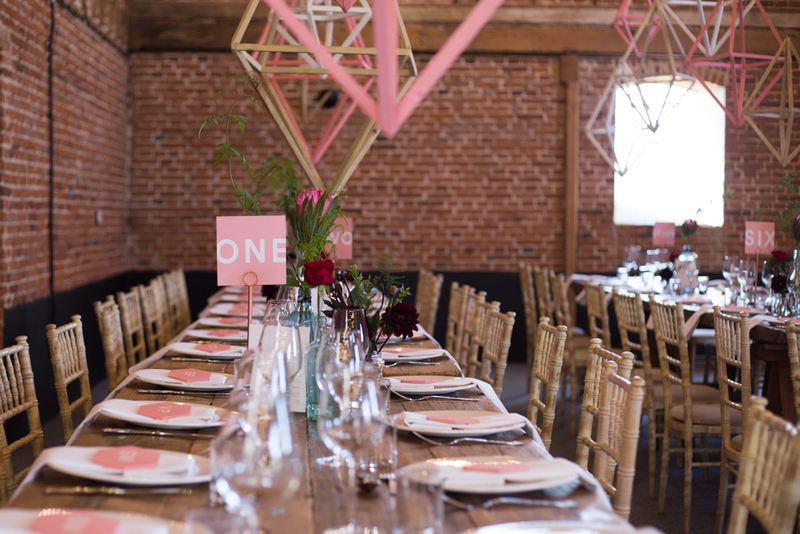 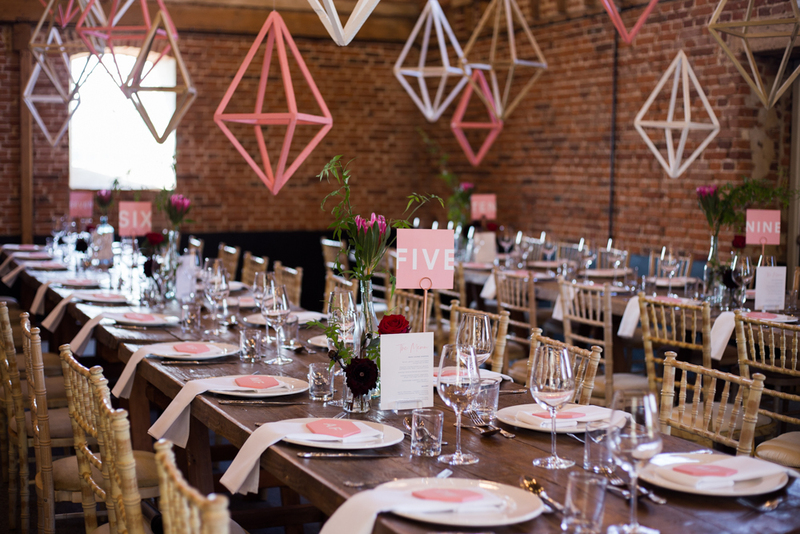 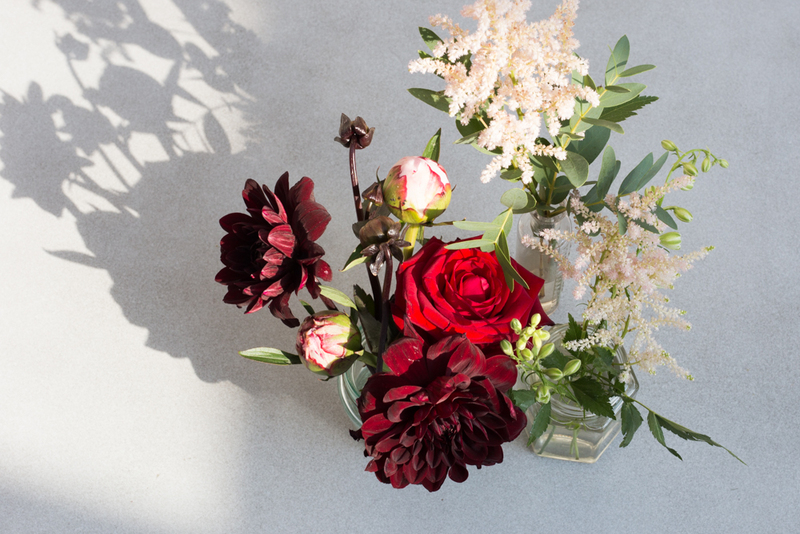 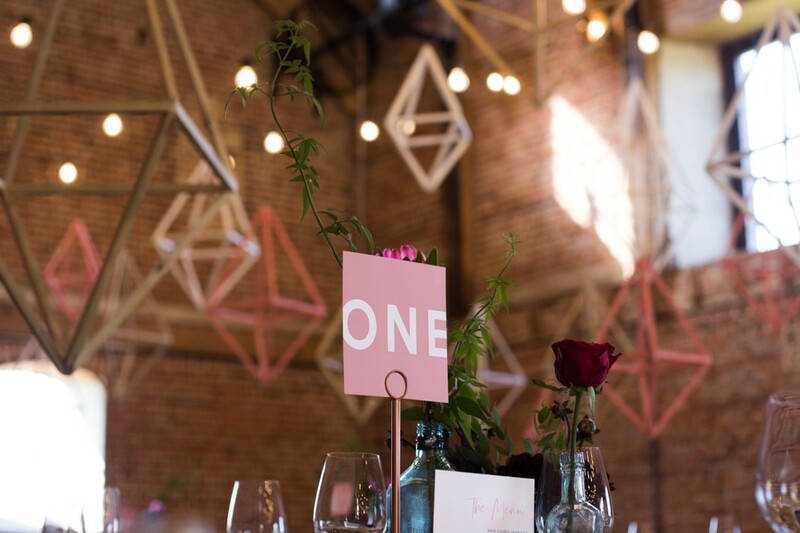 We were there to help set up on the day and I think you would agree – it all came together beautifully!